If I had to pick just one word to describe the best method of choosing an image for the One Four Challenge, it would be… Vision. When I choose my image at the beginning of the month, I usually have at least two ideas of where I might take the image. If the image needs to be prepped for the ideas then all the better, because then I have three weeks of ideas. The funny thing is, I usually have absolutely no idea what I’ll do for week 4, but so far, week 4 has been the most voted for edit all four months running…. but I’m getting ahead of myself. Today we are talking about week 2. If week 1 is the prep week, then week 2 is the reason I picked the image. Of course, there are exceptions to the rule. Sometimes I’m impatient and I do two weeks worth of edits for week 1 because I want to get to the reason I picked that image. December I had two ideas in mind, one was grungy (week 1) and the other was playing with more black & white. I really liked the difference this technique took my black & white, it was something I hadn’t tried before and I learned a ton. I wrote up a tutorial, check it out here. January was a very interesting image. I got *really* lucky with this one. To be honest, my only vision for this one was accomplished in week 1. The next three weeks was total experimentation that worked out to images I really love. For week 2, I wanted to try to create an image something similar to the movie A Scanner Darkly. I didn’t achieve that, but I still liked the image I came up with. I wrote a tutorial, check it out here. February was a frustrating month. Apparently high on the achievements from January, I picked an image with only the first week in mind. The next three weeks was an exercise in sticking with it and making the best of a bad image. Sometime in January I started on a journey to use software that would be available to everyone, regardless of which platform they were using (Linux, Mac, Windows). I decided to see if I could replace my Adobe workflow with Open Source software. The project is still ongoing, but I am very happy with the results. I’m not saying it was easy, in fact, it was very frustrating at times. And February’s image had so much I wanted to fix, that it forced me to learn more about what I could accomplish with GIMP. Even though I don’t particularly like the image, the editing that I had to do to make it work taught me a lot. And as far as I’m concerned all new knowledge is a good thing. For week 2, I changed out the sky because the image was kinda boring in week 1. 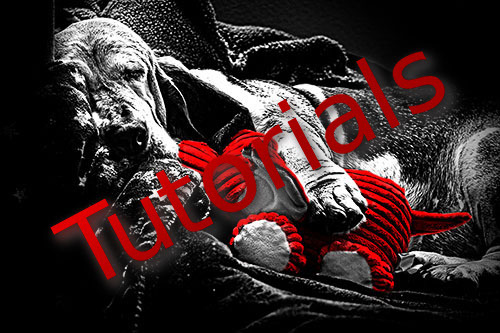 I wrote a tutorial, check it out here. For March, I went back to my method of having at least two ideas for the image. I was super excited to try out this steam technique. Unfortunately, it wasn’t as stellar as I had hoped. Nonetheless, I learned more tools in GIMP, so it was still a win. And the image isn’t bad, just not as exciting as I had hoped. I wrote a tutorial, check it out here. Go find out how everyone else is choosing to spend their Review Month here. This entry was posted in one four challenge and tagged one four challenge, photography, post processing. Bookmark the permalink. I remember the tree’s picture as I liked the ink style of the blacks. It is also good you replaced the sky of February’s image.